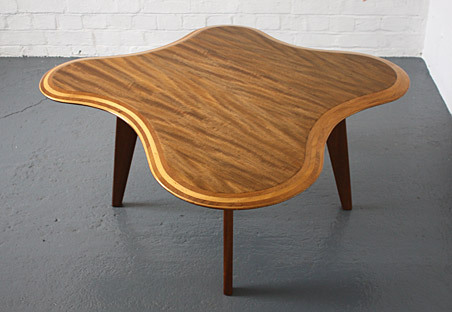 A Cloud Table designed by Neil Morris in 1947 for Morris of Glasgow, UK. 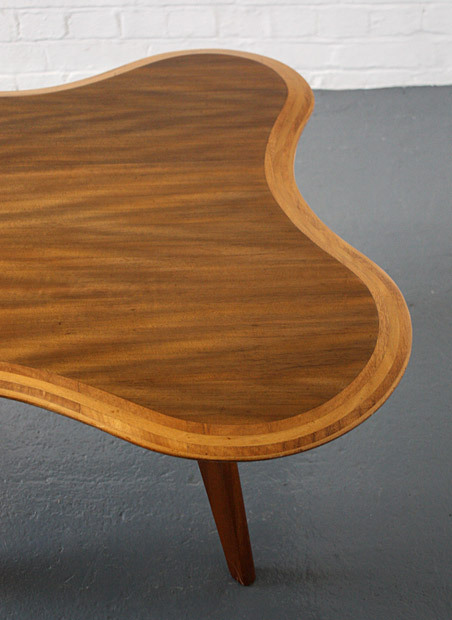 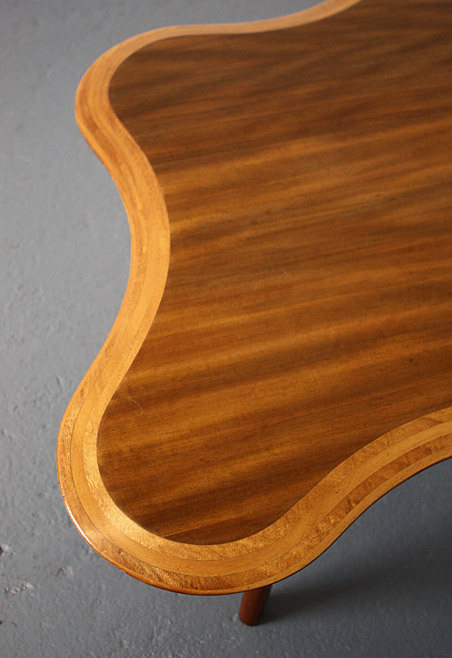 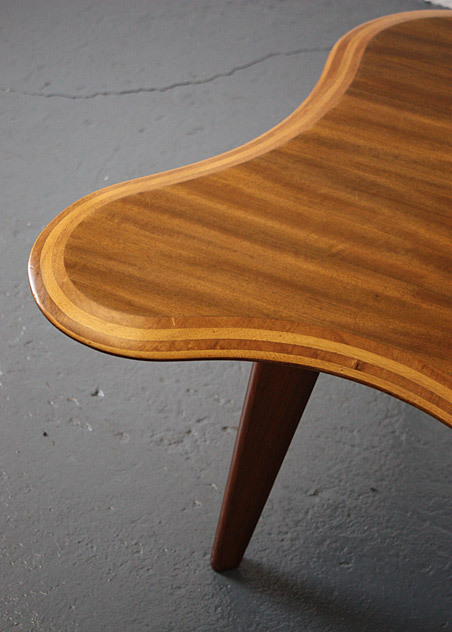 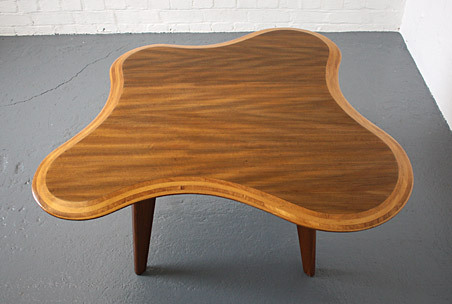 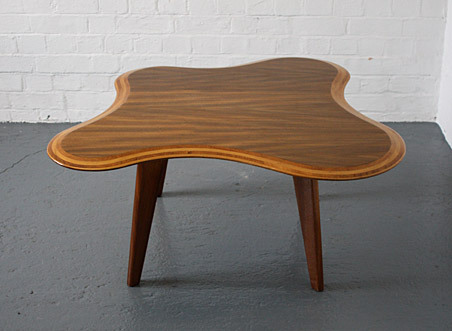 A beautifully shaped table in Honduras mahogany and Canadian Betula wood veneer. 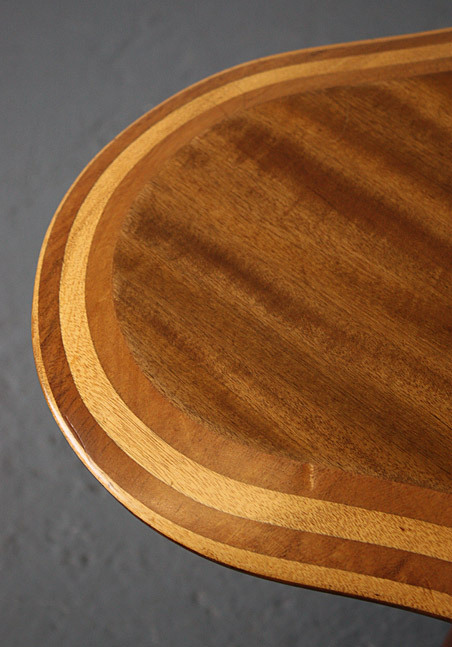 In excellent repolished condition with minor marks.